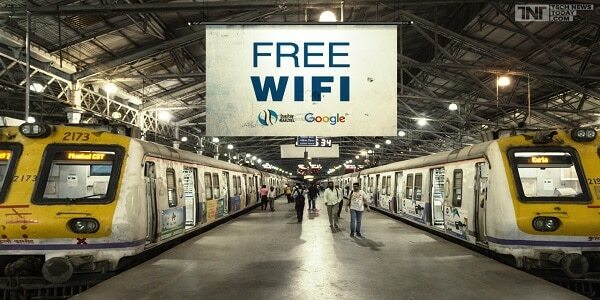 Google has begun offering free Wi-Fi at Mumbai Central Railway Station in the hope of boosting its role in the huge Indian market. Google CEO Sundar Pichai had announced that Mumbai Central will be the first station to get Wi-Fi under the scheme during his India visit in December 2015. Google plans to roll out the service to 100 busiest railway stations in India by the end of 2016 and expects a potential 10 million users for the free Wi-Fi service. The project will eventually cover 400 railway stations across India. In order to utilize the service, customers will have to select the RailWire Wi-Fi on the platform, and then open the railwire.co.in page, where a log-in screen will appear. Customers will have to enter their mobile number and they will get a 4 digit OTP via SMS, which they will have to enter on the page to get access. With Railwire Wi-Fi service, the travelers will be able to easily stream high definition video while they are waiting. Google says users of its public Wi-Fi service can save videos offline on its YouTube app for viewing during the journey. The free public Wi-Fi service will be available in Allahabad, Patna, Jaipur and Ranchi shortly.